What Real Estate Opportunity can I help you with? MOBILE USERS CLICK ON IMAGE! Putting your home up for sale has just gotten easier! I'll guide you through the process of selling your home and take care of the details so you can relax. Different markets bring on a variety of opportunities to capture the best price for your home, let's take your home to market! Buyer's Market? Seller's Market? Whatever the market, I am here to help you buy a home. If you're a first time home buyer, seasoned home buyer or even an investor, I love working with you and your unique needs. Let's start looking now! Leasing your home or finding a home to lease is part of my business. I believe that everyone should be helped to find a home or to have their home leased. I work with both Owners and Tenants and match them up perfectly. And, if you are interested in property management services, this page is a great information starter page to learn more. I can help with your HOA and Condominium Property Management search. If you're looking for qualified, credited and fully licensed to do business in Northern Virginia, I can help make your search a bit easier. Having been on a HOA Board since 2000, I understand what it takes to find a great property management service that does what it says it will do. And, the goal is to make your time on the board a bit easier and more enjoyable. See what I look for a service to entail! Storipedia - Great Short Stories by writer Curtiss B.! ------- Who Is Realtor Curtiss Brown? Curtiss Brown grew up in Fairfax County, graduating from Reston's High School, South Lakes and continued his undergraduate program at George Mason University. After graduating with a business degree, he purchased his first home in Loudoun County, Sterling, and completed his GMU's Master Program shortly afterwards. Curtiss became a father in 2004 and enjoys participating in the his daughter's school activities, after school activities in music and martial arts and all of the great outdoor activities throughout Loudoun and Fairfax Counties. Curtiss has been helping his clients buy, sell and lease their homes since 2004. He joined a property management firm in 2009 to futher his training and expertise in working with Investors and home owners purchasing property as investments and leasing them out for profit. Currently with Long & Foster Real Estate, Curtiss' expertise, honesty and professional, but fun, qualifications and background are here to make your capital work for you. Although Northern Virginia is his expanded market, Curtiss' expertise is concentrated in the Dulles Corridor or Western Fairfax and Eastern Loudoun Counties. Working with his clients in Reston, Herndon, Ashburn and Sterling has given Curtiss a keen insight on the neighborhoods. And with his daughter and her blog on the area's best playgrounds and family things to do, his knowledge of the community is unmatched. Curtiss offers excellent customer service and goes above and beyond other realtors with a Concierge Service that helps you ready your property to sell or rent faster and get top dollar. Be it for your investment rental or your own home, Curtiss has the right contacts. Let's find the right home, today! 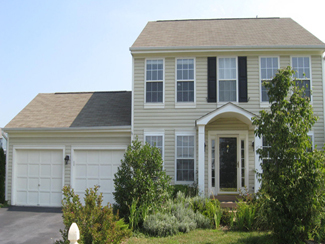 Areas I serve in Northern Virginia! 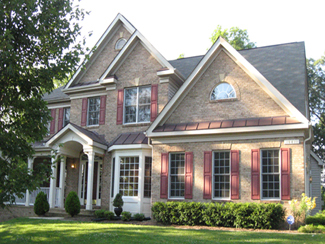 Residential buying, selling, listing and leasing services in Aldie, Arcola, Ashburn, Baileys Crossroad, Broadlands, Broad Run, Burke, Centreville, Chantilly, Clifton, Fairfax, City of Fairfax, Fairfax County, Fairfax Station, Falls Church, Flint Hill, Great Falls, Herndon, Langley, Leesburg, Loudon County, Mclean, Mount Vernon, Oak Hill, Oakton, Potomac Falls, Reston, South Riding, Springfield, Sterling, Stone Ridge, Tysons Corner, Vienna, Virginia. Call (703) 450-9140 for more information! A few great neighborhoods, too! 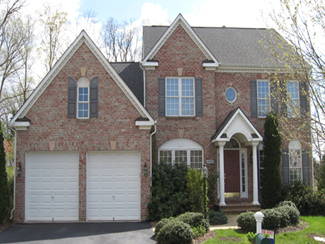 Listings for condos, townhomes or single family homes in Ashburn Village, Ashburn Farms, Avonlea, Bel Air, Belmont, Belmont Forest, beverly Manor,Brambleton, Broyhill, Cameron Chase, Cascades, Chain Bridge Forest, Chantilly Highland, Chesterbrook Woods, Countryside, Forest Manor, Grass Ridge, Green Trails, Grovewood, Hallcrest Heights, Kings Manor, Lansdowne, Lee's Crossing, Lincoln Park, Little River Commons, Loews Island, Madison Lane, Mclean Station, Mclean Crest, Memorial Drive, Myersville, Newgate, One Park Crest, Peidmont, Pimmit Hills, Polo Fields, Potomac Green, Potomac Lakes, Potomac Terrace, Presidents Court, Providence Woods, Red Rock, Reston, River Creek, Rivercreek, Roxbury Heights, South Bank, South Village, South Riding, Spring Lane, Station View, Sterling Park, Sugarland Run, Vantage Pointe, Waverly, Westlewinsville, Woodley North, and neighborhoods near you!